Let your embroidery machine do all the work and stitch out the frogs for you. We have even included the SVG stitch files so that you can cut and stitch quickly. 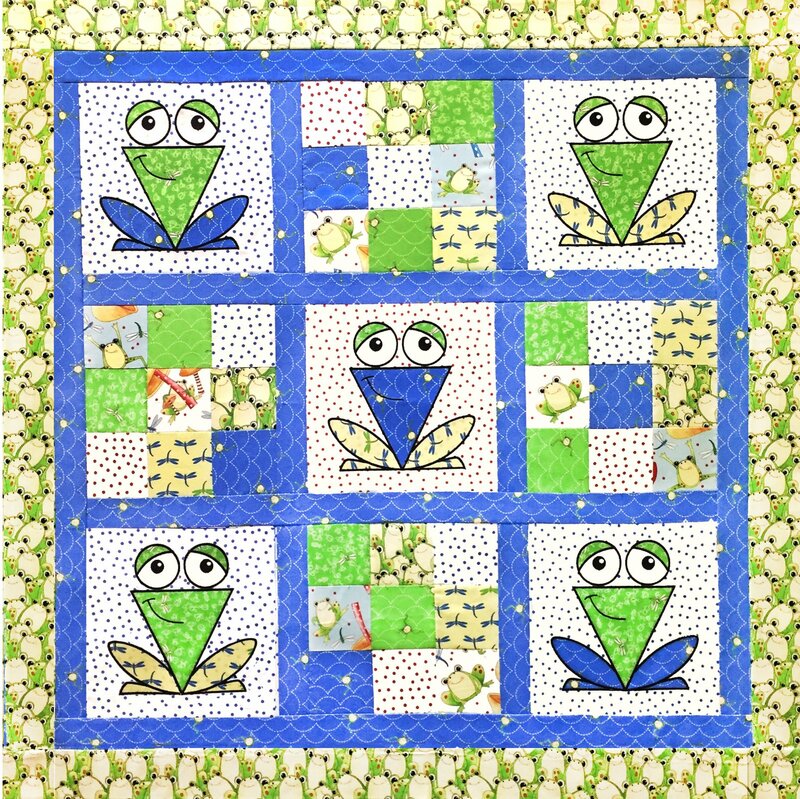 These adorable frogs make a wonderful baby quilt or wall hanging for those lil frog lovers. Shown in my fabric from "It's a Pond Party" this quilt is easy and fun to put together. Use my fabrics or this quilt is a great way to use up those fabric scraps and make your own scrappy frog quilt! This Embroidery CD comes with all the stitch files for your frogs, the pattern assembly directions, the SVG files to use your favorite cutting machine to cut your frogs out and a full instructional PDF for you to follow for stitching out your blocks.